Back to the Original Art Page. SOLD One of Susan's most charming Shaman period images. 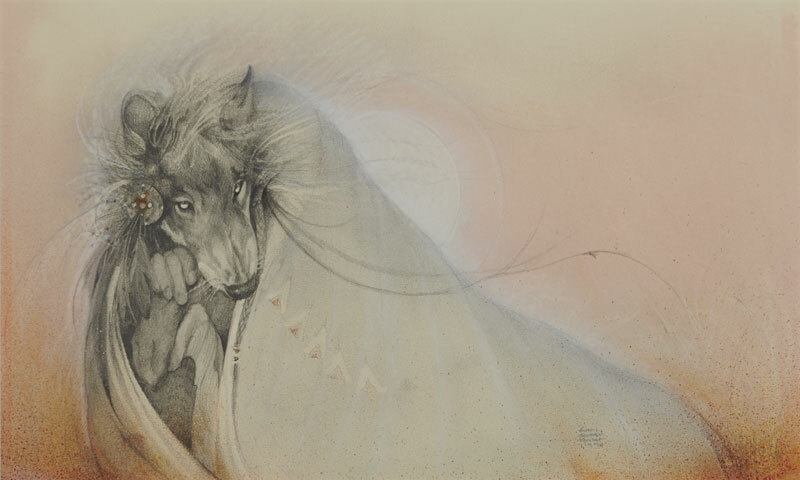 In the artistic simplicity of this piece, Susan masterfully depicts this reclusive, cloaked wolf with strength, elegance, wisdom and mystery. "The Secret" was chosen to be exhibited at the fall 2000 Retrospective show of the artists' most important works. Titled by Susan, in her hand, in ink, on the reverse. 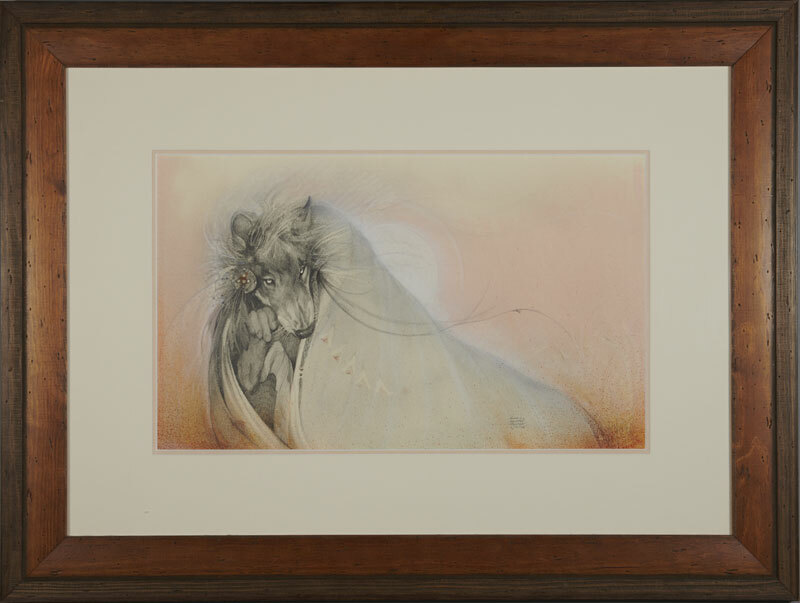 This original work has been re-framed with a rustic wood frame, archival double-matted with a linen top mat, acid-free backer board & materials and re-glazed with museum, UV protective glass. Signed by Susan Seddon Boulet bottom right. Dated 1994. Back to the Original Art Home Page. Copyright © 1997-2012 Turning Point Gallery Inc. All Rights Reserved. in whole or in part, in any manner, without written permission of the copyright holder.